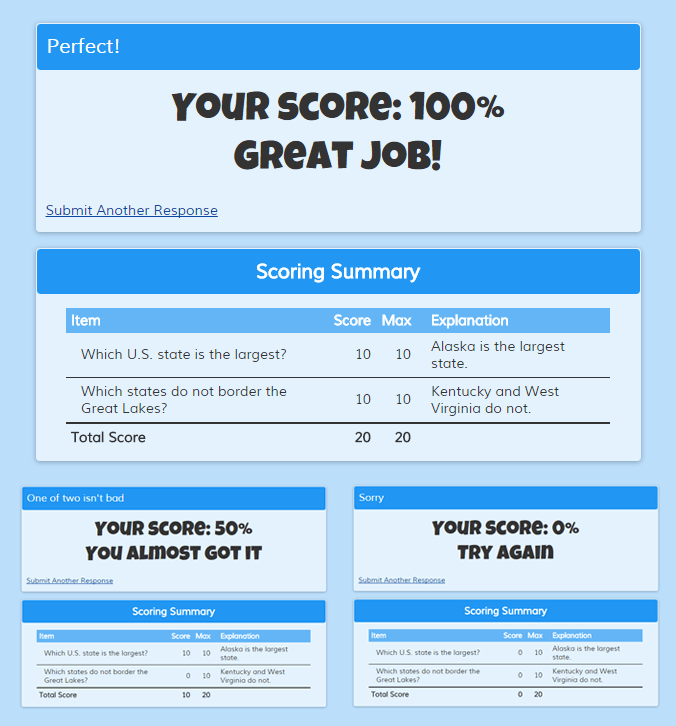 Posted on October 30, 2015 by Billy S.
Online tests are a popular request from more than teachers. Organizations of all kinds have expressed the need for quiz forms, tests, or any sort of answer scoring and evaluation. For our customers who want to make an online quiz, Formsite has put together a simple and powerful combination of features to do exactly that. Using Scoring, Success Pages, and Rules, you can create your own browser-based test that automates the collection and scoring. First, add your questions. 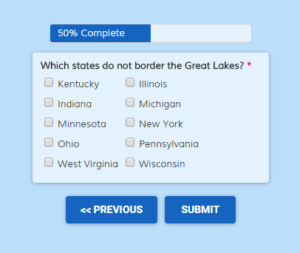 They can be radio buttons or dropdown lists (for single answers), checkboxes (for multiple answers), or short answer items (for text answers). For the correct answer(s), assign a number value. I’m using 10 but you can make it any number you want. You can even have some answers be partially right and have higher and lower scores. For multiple correct answers, decide if the correct answers must be entirely perfect or if partially correct counts as a correct answer. Optionally include an explanation that appears in the Scoring Summary table. 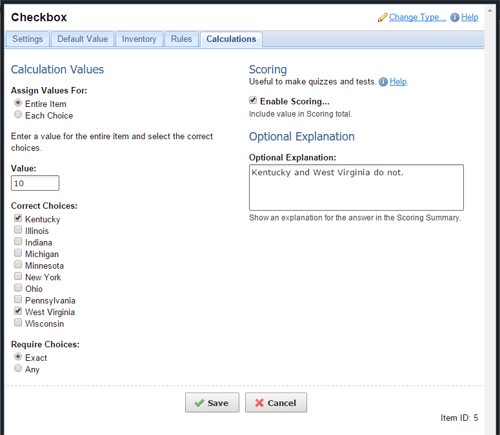 Most importantly, select the Enable Scoring box, then click Save. After your quiz is made, go to Form -> Success Pages and create a new success page with the scoring summary area set to show. You can optionally display the explanations if you have them, or you can choose to not show the summary table. Make copies of your success page for as many responses as you want. Here I have made three success pages for perfect, partial, and failed quizzes, with the perfect success page as the default. 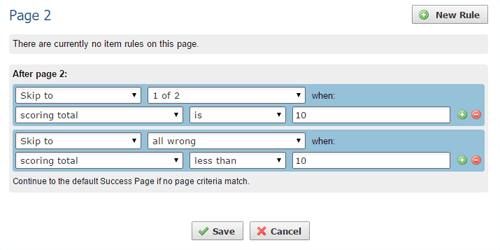 Go to the Form -> Edit -> Rules page to add the conditional logic for sending the visitor to the correct success page. Remember the scores for each correct answer? 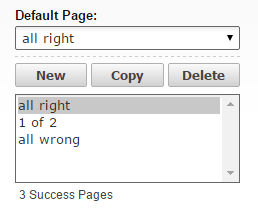 Here you will use those scores to direct visitors to the success pages that are not the default. 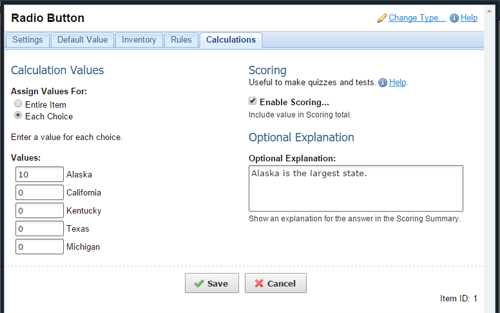 Since my default is the perfect score, I will add rules to skip to the partial and failed quizzes. 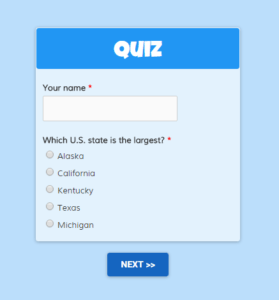 This is obviously a very simple example to get you started and you can use lots of other Formsite features to make your quiz awesome. For example, you can add a notification to keep the quiz admin notified of each response, you can use the pre-populate functions to automatically add the quiz-taker’s information, and lots more.